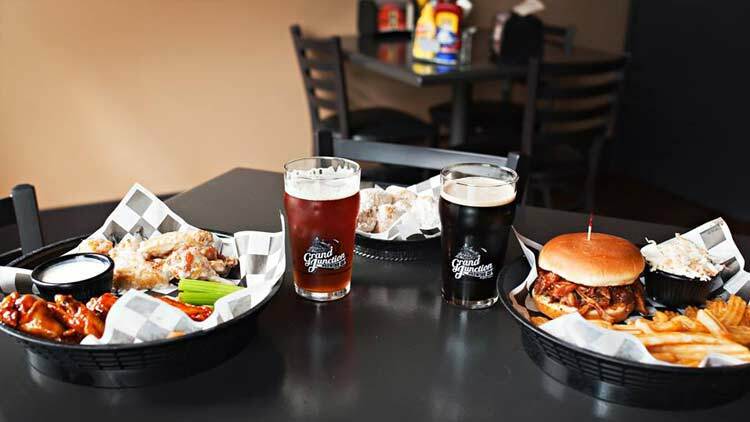 Housed in a historic 1860’s era building in downtown Westfield, family-friendly Grand Junction Brewing Co. provides 16 taps of some of the best handcrafted beers you’ll find in the region. Sit back and enjoy that pint of beer while catching the game on a number of HD flat screens. Combine their award-winning beers with locally-sourced comfort foods, utilizing a number of their own beers as ingredients, and you have a winning combination in a relaxing brew-pub setting. Their drink menu includes handcrafted beer, ciders, wine, and liquor. Enjoy live trivia on Thursday nights and live acoustical jams every Friday night.